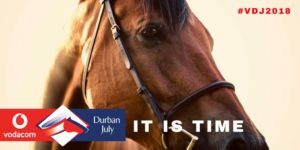 Durban, South Africa, July 3, 2018: A bumper crowd of 50 000 people are expected to attend this year’s Vodacom Durban July (VDJ) bringing with them an additional R150 million-rand cash injection into the local economy making this event Africa’s greatest horse race. The Zulu Kingdom is pulling out all the stops to ensure that international, national and regional guests experience Durban at its best. “What makes us even happier is that most of the side events have been scheduled for our townships and this will enable to give practical expression to the ideals of radical economic transformation, as it directly benefits our people in their communities,” added Gumede. Forecasts are that the total contribution made to the province’s economy will be around R159 million added with the creation of 320 jobs. While international tourist visitor arrivals for July and August last year was 112 000, this year the province is anticipating 125 000 of international arrivals for the same period. Add to this an average spend of R5 877 per visit expected to rise to R7 700 and that translates into just over R962 million rand into the economy. A workshop tour of the province and a chance to experience the VDJ has been arranged to showcase the province’s products and to provide the platform for reciprocal growth in the regional market. Blending together this year’s theme “It is Time”, the VDJ is very much about fashion. TKZN has promised that all visitors – international, regional and local – will have a fashionably great time during their visit to KZN. Makwakwa said while many fashionistas travel around the globe to find inspiration TKZN offers a runway to show off your fashion and the assurance of an enjoyable stay in Durban. The Tourism KZN Marquee will be a hive of activity with fashion showcases from up and coming KZN designers mentored by the KZN Fashion Council. The VDJ provides a platform to celebrate everything that is great about the sport of horse racing and fashion.